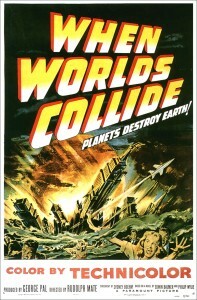 How often do you get to purposefully collide your worlds in ways that make them the better for it? I was able to do just that. I was working at EMC at the time, while also teaching an online journalism course at UMass. At EMC, I was involved in a corporate project to develop a solutions catalog that would help my peers interface my team for any manner of needs around social media, social media execution, training, reporting, and so on. At UMass, my course was part of an online journalism certificate program with an audience made up primarily of working professionals. Lessons all centered on the notion of writing for the web, no matter the form that content would manifest itself for the user. Heavy emphasis was placed on leveraging social media for reporting. It all started with this fun video we launched to celebrate Social Media Day. Part of that activity was the eventual goal of incorporating informal training (the solutions catalog the team would create) into the formal structure of EMC’s employee education program. My team’s work would ultimately influence the development plans of my peers. Cool, huh? Since we were on the path of creating this knowledge, I began curiously seeking out anything related from the interwebs. Enter Eric Mills and the National Institute for Social Media. 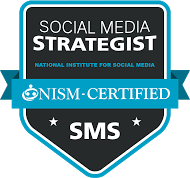 After many phone chats with Eric and others involved with NISM, I drafted the initial set of exam questions for the social analytics portion of this new professional certification. It was a fun process of developing questions in a systematic manner with clearly objective answers. I registered and took the exam for myself. And would you guess that even my own questions stumped me?